I-45 exit Woodlands Parkway, Travel West, Turn Right on Carlton Woods Drive , at the turn-a-bout Drive Right and follow the circle to entrance , Through guard house , Left on Grand Regency, Left on Palmiera , Home is on Left corner. Hello, I’m interested in 94 Palmiera Drive and would like to take a look around. 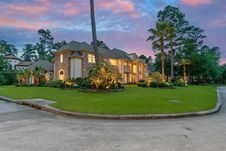 The details on 94 Palmiera Drive: This house located in Carlton Woods, The Woodlands, TX 77382 is currently for sale for $1,950,000. 94 Palmiera Drive is a 6,308 square foot house with 5 beds and 5.5 baths that has been on Estately for 8 days. 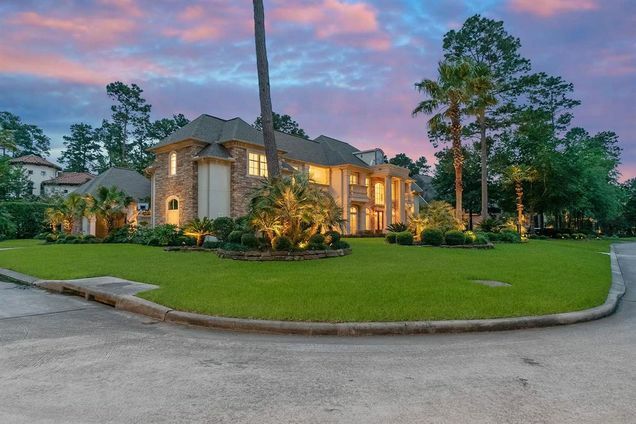 94 Palmiera Drive is in the Carlton Woods neighborhood of The Woodlands and has a WalkScore® of 12, making it car-dependent. This house is in the attendance area of Tough Elementary School, The Woodlands High School Senior Campus, and Mccullough Junior High School. Listing Courtesy of: HAR and JEA Properties.